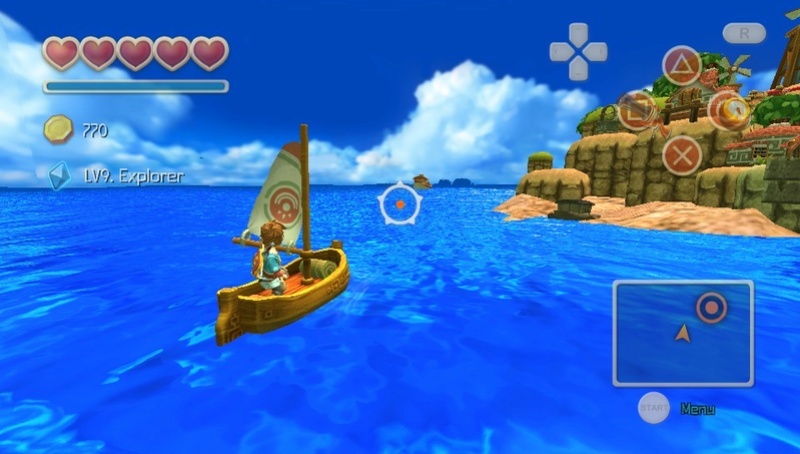 Zeldahorn: The Wind Waker Ocean! 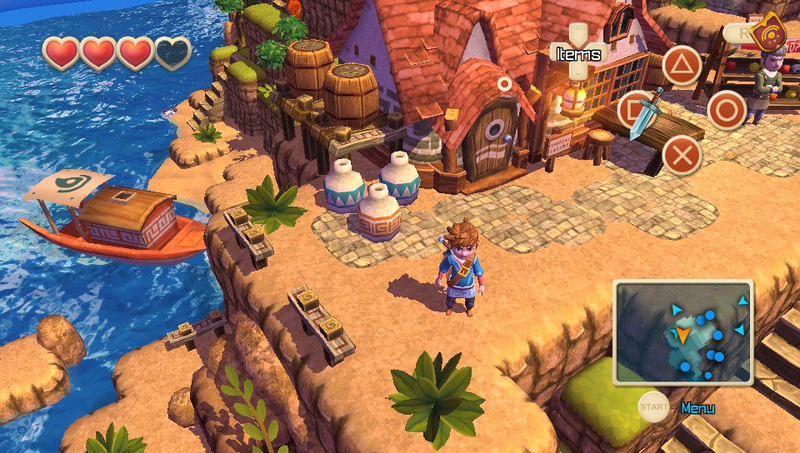 Developed by Cornfox and published by FDG Entertainment, Oceanhorn is an excellent action-adventure title that's sure to please, but how good is it? Continue reading our review to find out! There's no denying that Oceanhorn is inspired by The Legend of Zelda: The Wind Waker, but it does have some differences and sadly they do make the game a bit less entertaining than the title that it was inspired by. First the positives! The battle system is fantastic, with good pacing and fun boss battles. The puzzles are quite good and sometimes are a little tricky too. The missions are quite challenging at times and will have you do various things like kill x amount of enemies, ship an item to another island, etc. and will often earn you trophies so they're definitely worth doing if you're a completionist! The negatives are that exploration by boat is done through a set path, basically on-the-rails which kills the sense of adventure and the number of tools is pretty disappointing compared to Zelda titles. Overall though the gameplay is still quite solid! The visuals are quite good with vibrant characters and gorgeous effects such as glimmering water which really adds to the experience. The character and enemy models on the other hand are somewhat lacklustre, but the bosses are in most cases very cool looking! The soundtrack is superb and really fits the mood of the game! Expect a variety of catchy tunes that you will likely remember long after you finish the game! With solid gameplay, excellent music, and a superb audio-visual presentation we thoroughly enjoyed our playthrough of the game. There were a few aspects of the game that kept it from becoming a masterpiece, but overall Oceanhorn was a fun and memorable experience and we recommend it to all fans of the action and adventure genres! Our first Vita review is now live! Our reviews of Cladun Returns: This Is Sengoku for Vita and Revenant Saga for PS3 will go live this week as well! Next week keep your eyes peeled for our review of The Legend of Zelda: Breath of The Wild for Wii U! Nice review boss! I hope you have been doing well. Nice review lol. Should I get this for PS4 or Vita? @Aqua Cherry Blossom That depends on what is more important to you. Graphics or portability. I would go with the Vita version myself because I mostly game on the go nowadays. In any case, it does look fun. Superb review, @Reanfan! Thanks for the comments you guys! I'll be posting that review for Cladun Returns tomorrow, been feeling blah the past few days, sorry for the wait. This game doesn't hold a candle to Wind Waker but it has its moments. @Kain Vita it is then lol. So this is basically a rip-off of Wind Waker? Pass. @Supertimbros As they say imitation is the sincerest form of flattery. Also it has major differences when compared to The Legend of Zelda: The Wind Waker. 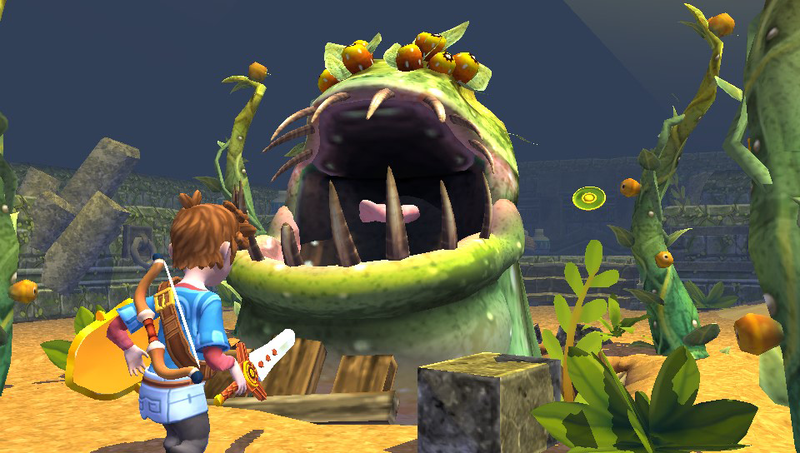 A game being inspired by or being a blatant rip-off are two very different beasts and this game is a prime example of the former aforementioned beast. Good review. Too bad the game sold as bad as rotting Yellowjack Tuna baking in the summer heat on the Vita.